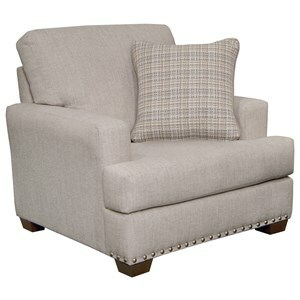 This loveseat will give your home a look of casual comfort. 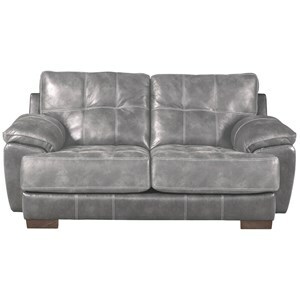 Like its coordinating sofa but in a slightly smaller size, this piece features plush padding, from the seat cushions, to the seat backs and pillow topped arms. Wooden feet and visible seam stitching provide tailored accents. 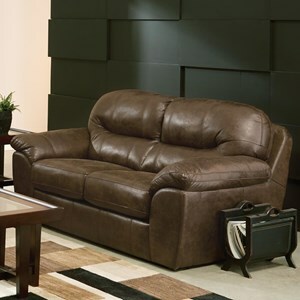 This living room sofa is crafted by a manufacturer who is well known in the industry for creating comfort furniture. 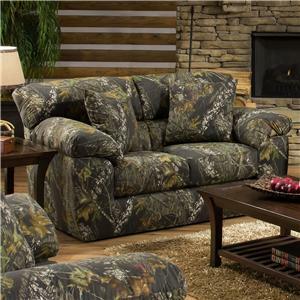 The Grant Loveseat for Living Rooms and Family Rooms by Jackson Furniture at Goffena Furniture & Mattress Center in the Sidney, Columbus, Fort Wayne, Dayton, Lima, Ohio area. Product availability may vary. Contact us for the most current availability on this product. Come home to comfort with the Grant collection. 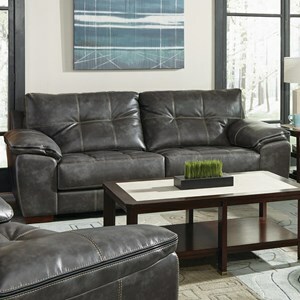 This collection is a living room and family room furniture group that provides casual style as well as comfort. 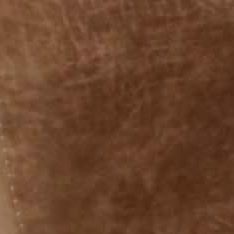 The group is made by a well known furniture manufacturer who excels in the comfort furniture industry. 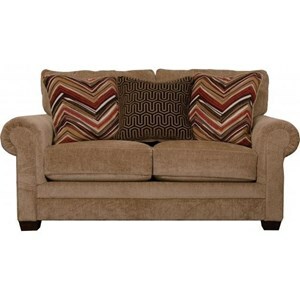 Plush padded cushions top each piece from the seats, to the back and even the arm-rests. 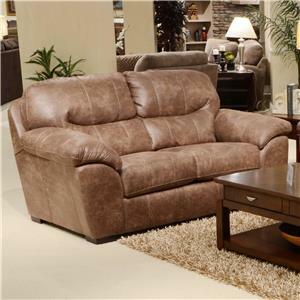 Choose this collection if you are seeking casual styled furniture for your living room or family room.  This collection can also be used in rooms that have contemporary styles. The Grant collection is a great option if you are looking for Casual furniture in the Sidney, Columbus, Fort Wayne, Dayton, Lima, Ohio area. Browse other items in the Grant collection from Goffena Furniture & Mattress Center in the Sidney, Columbus, Fort Wayne, Dayton, Lima, Ohio area.